The ever-growing need for the new technology called “Blockchain,” will make revolutionary changes in our lifestyle. Not only common people are thriving to know about it, but many tech-savvy companies have already started investing in blockchain implementation. However, the more prominent confusion lurking in the market is “How will I be able to use blockchain to fuel my business?” The confusion is quite expected. The blockchain is still one of the new topics on the horizon that many don’t know about. According to the recent Gartner Survey in 2018, 23% companies are already in progress to implement a blockchain technology. Among them insurance companies and financial industries pose a leading role. An additional 43% companies are interested about it but haven’t actually deployed any kind of plan. 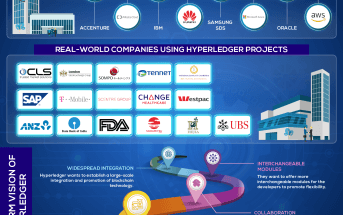 CIO’s of these companies are visualizing blockchain as a business model that has the power to operate large industries. However, they also indicated that the process is quite challenging and may require further investigation. That being said, to provide you with a more credible source for blockchain solution we have put together this blockchain implementation guide. Buckle up your seatbelts as we’ll cover everything you will ever need to start your very own blockchain fueled business. 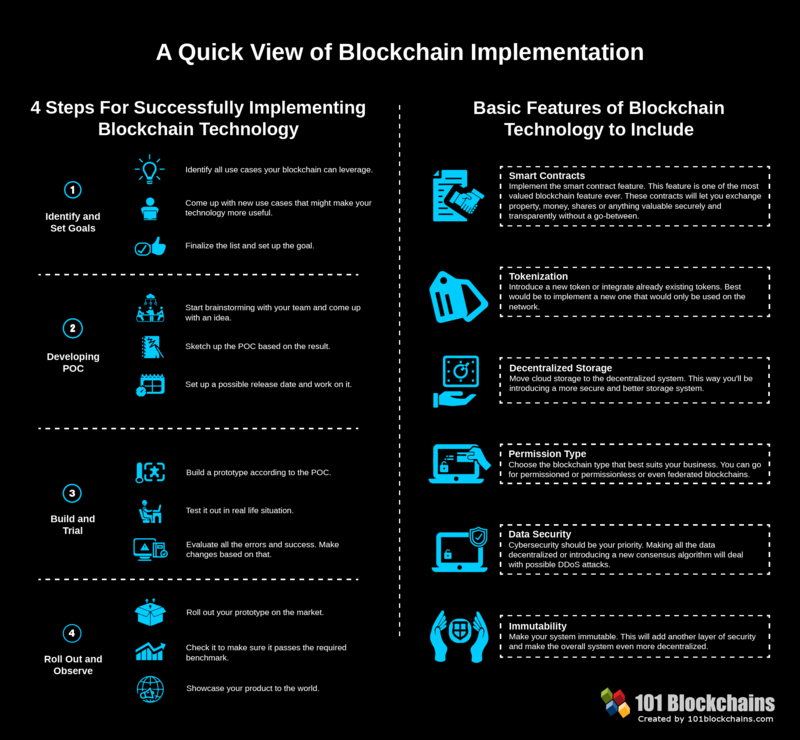 Chapter-1: Blockchain Implementation: What Are The Steps? Chapter-2: Cost of Blockchain Implementation: How Much Can It Cost You? The first step of our blockchain implementation guide starts with identifying the goal. If you want to make this initiative successful, you have to include as much help as you can gather. In simple terms, you need to get every individual from your company to team up with you. 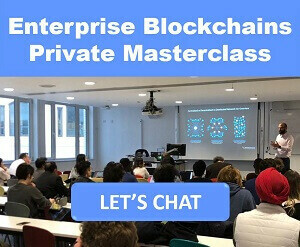 Inspire them to brainstorm and prepare them for the big blockchain implementation project. If your company members lack in blockchain applications based on knowledge, educate them. Once you and your team is prepared for the outcome, call a meeting and discuss the possible scenarios you can use. Don’t rush in this stage. Be patient; it will always help you make the right decisions. Also, remember never to take irrational decisions. You need to set your goals to something you and your team can achieve, not something that’s beyond help. Ask yourselves simple questions like, how your blockchain implementation guide can help you to improve the overall efficiency? And whether you can actually help your customers through it or not. Using all of the ideas you will be able to set some ground rules and comes up with a potential plan. Now that blockchain applications are on the rise many companies are exploring it out of their curiosity. However, the first thing they need to pinpoint is how they can utilize this new technology and ensure it as an asset. The world is now filled with blockchain business opportunities. The bottom line is, companies need to estimate everything required to successfully pull it off. The goal, budget, rules, and deadlines. Every single part is equally important and needs to get accomplished successfully. After seeing every aspect, you can estimate whether blockchain applications will be an asset or waste of resource. 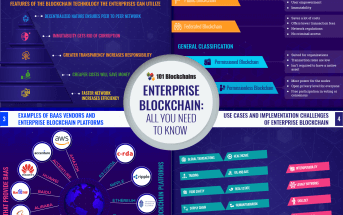 To help you out with your quest in finding out which blockchain use cases compliments your company we’ve put together a list with benefits in this blockchain implementation guide. Check it out. Pretty sure you’ll love it. Banking system got the highest amount of hit after blockchain implementation. They are one of the companies that lack security. That’s why blockchain applications with all its flashy security make a beautiful alternative to banks. Banking systems have started to adapt to the blockchain. Any kind of financial services can get more accuracy and security that the already existing systems. If your company deals with financial transactions, then you can utilize this aspect using the blockchain solution. Many banks have already started to adapt to the new blockchain business and ensuring a better blockchain application for their customer. This can help you to deal with international transactions if your business is still on the smaller scale. You can try to make the transactions even faster so that more customers can use your services. A good example for blockchain implementation companies would be Ripple, who supports banks to process international payments. Data transparency is one of the essential features of insurance companies. Blockchain solution, on the other hand, can provide a seamless channel for that. You can automate the whole insurance claim process by implementing smart contracts into the system. Smart contracts will process the whole insurance claim without any hassles. How? Well, smart contracts can verify specific contract rules and then process the outcomes based on that. All one needs to do is to set up contacts for the individuals who are looking for insurance. This is another great blockchain business opportunities. And if something happens and all the conditions are met, the customer will get his/her fair share of money automatically. The best part about this is that a company will benefit greatly from the shared database system. As in blockchain, the records will be safe from hacks and individuals can get their fair payouts. LenderBit can be a perfect example for blockchain implementation companies in this scenario. It allows their customers to submit insurance claims from the Messenger! So, adding this kind of features in your company would attack more customers. A fair deal of transparency. Low level of insurance fraud. Saves a lot of time and cost. For companies who would like to add healthcare benefits to their use cases, blockchain offers tons of options too. Healthcare services need a lot of storages for record keeping and with the security of not being able to alter it. Blockchain can offer this type of storage facility with authorization payment system. Other than that a healthcare system would also be able to process any amount of complex payment methods efficiently. So, if you integrate this into your company, all your customers can be benefited equally. You will also be able to offer them low costing and time-saving insurance processing. Your blockchain can get linked to insurance, and after providing specific insurance, they’ll be able to get their medical fees covered. MedRec is somewhat of a similar type of project. Basically, it provides an excellent source to keep all their data and uses a decentralized CMS to solve all the issue. Physicians can use useful information without any hassles. Storage of information without any tamper. Saves time and increases overall efficiency. If you are a real estate company that wants a blockchain implementation guide, then you can use this one as one of the blockchain use cases. It’s simple; no hard line at all. Real estate nowadays has become filled with vulnerabilities such as false information, illegal purchases, and errors in records. For these ordinary people tend to suffer a lot, lose their property or money or even miss an heirloom. The blockchain, in this case, can make sure that no one can alter any information about the features and it can also provide a right amount of transparency for property contracts. The paperwork after leaving a property consumes a lot of time. Blockchain makes it super easy and straightforward. This is another great blockchain business opportunities. There are already many projects coming along this way. An example of blockchain implementation companies would be velox.RE that is in Chicago. They are planning to implement blockchain based real estate transactions and make them cost efficient in every way. Digital identification might not be a new bloke in the area, but blockchain can definitely make it more digitized. First of all, blockchain can make the process entirely digitized. Secondly, it can increase the level of security protocols to stop any identity theft. Lastly, with the strict authentication process, it will ultimately get rid of fraudulence activity. The storage records are also safe in this case. There are already many companies working on it and building projects around it. It could be a great startup blockchain use cases to add up in the implementation. A popular name ShoCard offers this digital identification process for governmental services. The card will be given to individuals and businessmen who will get a different level of clearance. The ID will contain all the necessary information. It can also be used in a smart contract to give it more security level. Law enforcement can refer to legal documents processing or private agents or even governmental officers, anything related to law. Usually, they are centralized and demand an administrative power over a system. The blockchain solution here can introduce a new model system. Most of the law enforcement system relies on an intermediate. And if the intermediate is compromised somehow the system breaks down. However, as blockchain solution doesn’t involve any intermediates, it can ensure a safer channel to store data or process certain transaction costs without any illegal issues. Courts will be able to get more transparency in the prosecution, and there would be less criminal fraudulence. Other than that uniting all legal industries in one legislation will surely do the trick here. Law firms, schools, corporations, legal software providers, and technology; everything would get connected to one single hub. 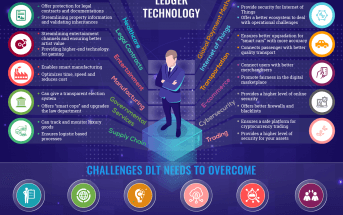 Integra Ledger seems to be one of the blockchain implementation companies that covers law enforcement companies, where they secure all legal documentation in a single place. Obviously, you need the authorization to access the documents. But it’s a great example. Maintaining all public documentation and legal rights. IoT security farms can utilize this technology and offer more data protection for their customers. This way the company can give a better alternative to the already existing protocol. Decentralized tech blockchain has the right amount of power to fuel this department easily. However, there is one single aspect that makes the IoT take a hit – costing. Yes, the costing of network requirements and updated technologies take up a lot of money. Integrating a connection between devices and making it seamless would also require a lot of juice. In this contrast, blockchain can be the only best solution. Blockchain already has a secure model that can give this department all it needs without the added costing. Utilizing this as a use case would give you more room for future growth as IoT is one of the fastest growing sectors now. A greater level of security against data altering. Introducing a new voting system through blockchain solution can be a very revolutionary project. The governance sector is one of the most polluted ones. The nation-state requires a system that can deal with any kind of corruption and give a more secure environment and a fair election. With blockchain, people will get a tamper-free channel, from where they can cast their votes without any means of alteration. On the other hand, citizens will get an opportunity to pay their taxes hassle free. Coupling this use case with digital identification would be a high starting point. The centralization issue of the government can be dealt with here. It’s an excellent process to improve your company’s security assets and transactions. Bitfury Group is one of the startups in this sector. They wanted to help the government and the citizen to have a better and fairer election process, let along other legal features. Educational entities such as universities or schools can highly benefit from it. Every year these institutions need a lot of storage facilities with better protection system. However, most of these institutions lack global recognition and verification of a good institution. This Blockchain implementation guide here can help to ensure their existence and store all of their documentation within the decentralized network. On the other hand, if it’s possible to connect all the institutions in a single hub like environment, it’ll be much easier for a student to go to foreign institutions with scholarship or transfer credits. Blockcerts is undoubtedly one of the academic blockchain implementation companies now. Here one can verify their credentials and then upload their documents to the network. Every record would be encrypted and kept tamper proof unless it’s needed by respective individuals. No fraud acts in educational certifications. Easy access to previous track records with authentication. Leasing a car can be a hectic process. You have to go through a series of means to rent a car and then drive it. The method includes verifying the person’s identity and then going through the financial record to verify whether he/she is eligible or not and then choosing a car and processing it. The whole process is so much time-consuming. It would be great to implement blockchain here to make sure you will get to choose, sign and drive the car without all these hassles. And after the time limit, returning the car and ending the contract would also be without any troubles. Processing insurance if the leased car is damaged or destroyed for some reason. With blockchain, everything can get automated. This is another great blockchain business opportunities. DocuSign Labs is one of the companies that use this process to simplify the leasing process. Think about it, if your company can add this use case it could be a new turn of events. Every industry can be affected by blockchain implementation guide and the luxury goods section isn’t an exception to that. Tracking every good can be one of the best ways to give customers authentic products without the fear of scams. This type of blockchain implementation guide can enable industries to become a trusted source to their consumers. One can also add a significant level of transparency through it. This also cuts down unnecessary insurance payments. Everledger is one of the companies that deal with this type of blockchain use cases. They are not limited to only luxury goods. Luxury goods seem to be one of their offered features out of many. They certify all those assets and then use a tracking system to make sure every customer gets what they paid for here. Gives a more significant deal of transparency and authentication for goods. Protection for higher valued goods. Creates a hub of mutual trust among the global market. Reduced risk for theft or fraudulence activity. Can store and even track the data change. Proof for resale and ownership. Tracking buying habits and producing a marketplace based on that. A network hub with all the skilled drivers. Mutual connection between driver and passenger. Zero restricted rates or fare. Full transparency for the customers. The concept of POC is getting popular among many companies nowadays. There are more than 500 companies who are willing to invest in blockchain based proof of concept and utilize all that it has to offer. Concepts such as back to back peer communication or smart contracts amuse the crowd now. A survey was done recently backs up our claim, more than 66% IT heads, and CIOs think that blockchain will be the next revolution to fuel digital existence. The world is already on the verge of total digitization, and with the help of blockchain, the desired future isn’t that far away. They have already established their keen interest by investing in the system and 5% people are thinking to spend more than $10 million on the POC. If you are one of the tech enthusiasts and is willing to utilize this “blockchain implementation guide” campaign, then you should probably start knowing the basic. Such as where to start the process on how to ensure a successful project. Let’s cut through all the loopholes and say that you’ll need to invest a blockchain POC. If you aren’t familiar with the term, we’ll give you a short definition to help you get started. What’s The Vision of POC? Mainly POC would be to ask a series of questions regarding a project and then do all that is required. It’s one kind of a project development process or strategy where you have to figure out all the steps accordingly. However, some companies can help you to develop a successful POC. They will give you all the necessary information and then craft the main steps with your vision. It would be best to develop a POC yourself with the help of your team, this way you’ll get just what you wanted. Does your business rely entirely on trust? Will multiple individuals control the data? Do you need data integrity? Who will be targeted market? How will you approach that particular niche market? What kind of platform to use or should you go for a brand new one? Private, public or federated? What kind of blockchain technology are you hoping for? How to measure the success level of POC? Mainly you’ll be able to know the success through an end project assessment. If you can deploy a new application, you can consider the whole POC concept to be successful. After getting an idea of how you can craft your POC, it’s time to make the vision come to a reality. The process is quite simple however if you have many complex options to add in the POC then it could take several months to complete the POC. We would recommend you to keep it short and as much as simple as possible. However, make sure all the factors are right. On the other hand, it’s just a proof of concept steps if you waste too much time on this draft, it would take you more than usual time to finish the complete the implementation. You can also make changes if you see any proper scope to simplify it further. Now let’s jump on to the next section of this Blockchain Implementation guide. Easy as it is, we want you to be successful in every way. 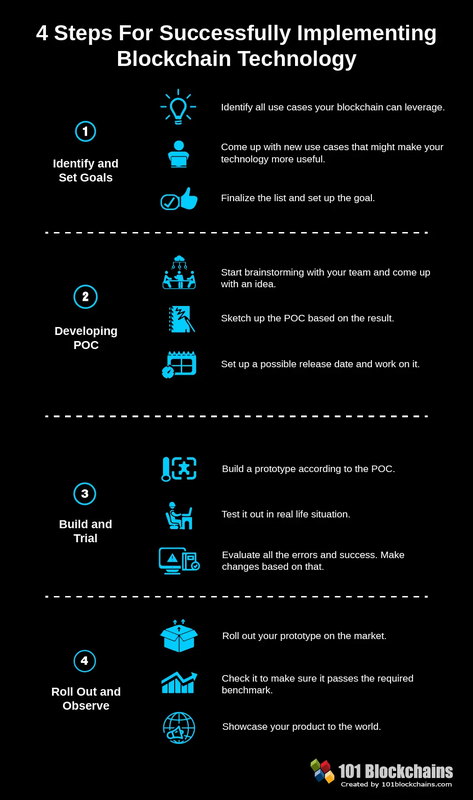 That’s why we put together these seven tips to help you develop the POC without any hassles. If you want your blockchain project to be successful, then you need to focus on real-life problems that you can solve. A problem that you can quickly point out and help using blockchain to resolve it. Many POC already focuses on just the capabilities of a blockchain tech. However, they do not resolve any significant issue. You might think it’s common sense but many company teams seem to lack it. That’s why you need to make sure not to get so caught up in already existing solutions just because you will also be a part of blockchain implementation. Take some time and think with your team how you can nourish blockchains potentials and add a different aspect to it. Also, always go for a scheme that can get updated in the future, not something that doesn’t require any kind of additional tweaks. The main criticism it faces is its lack of new problems to solve. It’s something that’s most forget. However, you can use it strategically to get ahead in the market. Not just giving a cheaper solution than one another but also adding a bit of value to it. If you come off a series of problems, then ask how many of them are truly worthy of being solved. How can your customers rely on you for that problem? This is one of the proof of concept steps you should definitely follow. Small steps are the way to go. Blockchain may or may not change the world; however, it’s still on the positive side. Maybe your project can make a revolutionary impact, perhaps not. But that can’t be your only focus right when you are looking into blockchain implementation guide for the first time. Blockchain implementations require a lot of changes along the way, so make sure not to go for a flashier entry right from the start. Going slow and small is the ideal way. Just focus on a small solution and make it happen without any problem. Don’t do anything risky that might hurt your organization if things don’t work out. Eventually, you’ll get an option to add more features to your project, be patient until then. 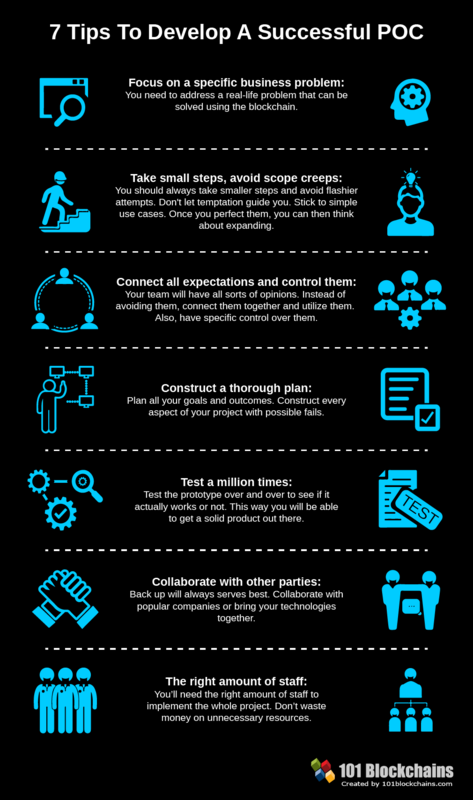 You also need to remember one thing strictly, avoid any kind of scope creep. Scope creep can be one of those dangerous roads where you can and will eventually mess things up. Stick to only those features that you can deliver, not something you can’t. We know how lucrative it sounds when you think about many features in one place. But let’s not get it in the way of a successful project. Your team members are all different people with different opinions and vision. Some of your team members may think it’s the start of a new era; others may don’t. It’s normal to have people who don’t think it’s a good strategy. What you need to do here is to educate them thoroughly before drafting the POC. With the proper knowledge, they will be able to understand the benefits and risks of the blockchain implementation guide. Don’t avoid those who aren’t that excited about the new blockchain implementation. Communicate with both of the team and connect them. One of the proof of concept steps you should never miss. They might also have different opinions about blockchain features to add or not. The blockchain is still in the evolving phase, and no one can estimate the full capabilities. As a leader, you need to try to bridge the ability with the flaws. Brainstorm with them, help them nourish the whole project. It’s a bold move that many companies lack and you shouldn’t be one of them. Another hurdle you might face is the misinterpretation of the challenges you will get. Blockchain implementation is not an easy task. At first, it will have many flaws and with possible failure scenario. Among all other proof of concept steps, this one is the most crucial. Go deeper into the roots and figure out what flaws your plan might have. Brainstorm about all the possible outcome of a single step. If it fails then think of ways, you can make it a working feature. Discuss the obvious limitations and how you can overcome it before full-on deployment. If you don’t do so, you will start with a weak strategy, and eventually, it will fail. Even though it’s entirely early, still try to address your team’s weak points and strong points to asset how you will overcome them. The architecture and design of the protocol is a crucial job. Find the flaws here too and then improvise it. This is the only way you’ll get the best of blockchain implementation guide. After all the designs get done, you need to have a step where you would deploy the network to test out the output. Testing it once or twice is never enough. You can never predict how it could actually be with a right amount of crowd. Think as if it’s already getting used by millions of consumers. You’ll need to test it out a lot of time until you are sure your network can take the load. Only then you will be fully confident in your POC. Blockchain implementation might require most costing than you think. The more complex are the features, the more costly the pricing will be. Also, after the launch being able to manage the whole network will take up more resources every day. How will you manage that if you are a small level startup? The best answer here would be to collaborate with other teams or companies. There are many parties nowadays willing to spend a large sum on a good project. If you have a solid background, it won’t take you much time to get a sponsor. ICO can be a way to solve the issue. But not all the ICO’s get to see the light of the day even though they have so much to offer. That’s why backing up your game with other stakeholders will have a positive outcome in the long run. The Tax Team: The process may not directly require them, however, if you are a taxable company you should get their help. Mainly the location of your company would decide how much tax you would need to pay for this. Be prepared for it. The Law Team: Everything you do needs to be legal in your country. There are still many countries worldwide where they banned blockchain and other similar activities. Before going through with the plan, consult with your legal team. This way you will know what actions you can do without breaking the law. You don’t want to design the whole POC before that. What happens if you find out that certain features aren’t legal? You would be wasting a lot of money and time then. Maybe you are just thinking about blockchain implementation. That being said, you should definitely need to consider the staffing issue. Do you have the necessary amount of staffs for your team? Do you need more or do they have the skills to pull it off? Don’t jump into the whole blockchain implementation scheme with a small staffed team. It requires a lot of workforces to get a full prototype up and running. If you are running short, then consider hiring new people. You can also hire newly qualified people more suited to make this project a huge success. Don’t ever miss these proof of concept steps. Our next step in this Blockchain Implementation guide is the build and trial step. The build and trial step would require you to add some fundamental parts of blockchain technology into the whole equation. Let’s say what elements you should definitely consider using. Smart contracts are one of the essential features of blockchain implantation. It will allow you to define rules under the contract will execute and make the payment process automatic. Implement the smart contract feature. These contracts will let you exchange property, money, shares or anything valuable securely and transparently without a go-between. A blockchain implementation system without smart contracts isn’t that lucrative anymore. It’s another one of the basic need of a blockchain implementation protocol. They are most likely a wanted factor if you want to launch a new project. Otherwise, you can use already existing ones as a means of transaction. So, if you are a startup company you may require tokens. Enterprise level companies can already use existing tokens if they want but It’s not necessary for them. There’s no need for additional launches. That’s why introduce a new token or integrate already existing tokens. It’s a huge requirement of blockchain implantation schemes nowadays. The blockchain is currently still dealing with the storage issue. If you want to get a massive crowd on the network, you’ll need a better storage unit. The best way would be to move cloud storage to the decentralized system. This way you’ll be introducing a more secure and better storage system. Blockchains typically have three type of permission level – Public, Private, and Federated. You need to pick it very carefully. Maybe the use cases you’ll be dealing with requires a private blockchain, but you go for a public one. It won’t do any good in the long run. Choose the type that best suits your blockchain business. But make the right choice. Cybersecurity should be your priority. It’s another major factor of blockchain implementation. You can’t possibly roll out a system without a proper security channel. All the transaction and blocks need to be hack proof. Making all the data decentralized or introducing a new consensus algorithm will deal with possible DDoS attacks in this case. However, choosing the consensus protocol will perform a huge deal in this case. Immutability is something that can’t get fulfilled with already existing internet technologies. Therefore, blockchain should be able to deal with this issue. Blockchain will hold the right information in the network and people would be able to access it with proper authentication. Thus, make your system immutable. This will add another layer of security and make the overall blockchain implementation even more decentralized. These other factors are something you should definitely look into from our Blockchain Implementation guide. The first blockchain implementation guide utilized Proof of Work consensus mechanism. However, after that, there have been many consensus protocols introduced. Each one of them deals with the flaws of the blockchain network. You should choose the mechanism based on your use cases. However, you can also try to introduce a new protocol if you have the backup workforce. Some of you may not want to build the blockchain network from scrap. For those of you can get many open-sourced platforms. All you have to do is perform a hard fork or soft fork, and you will get your basic platform. While developing the nodes you need to consider how they will operate. Will they be public or private or hybrid? Another factor is that if they will run on-premise or cloud-based system or even both. Based on this you will be able to decide the required hardware specifications. You will also need databases such as MongoDB or MySQL and also FTP and Web servers. There are other lucrative factors you can introduce in the new blockchain implementation. They will make your network more amusable to typical customers. After putting it out in the world, you will need to examine thoroughly to know how it’s actually working. Testing in a separated environment and making it live it differently. There is always some variable that you may not think about before, and they can change the outcome of your blockchain implementation. Not every feature of your blockchain implementation protocol will work 100% perfectly. There can be other factors slowing them down or not letting them work the way they should. You need to get a copy of all the failed aspects and improvise them accordingly. You’ll get many ways to improve it but keep it simple. When you are making specific changes in your prototype don’t forget about your original goal. It’s easy to get lost, and it can damage the scheme altogether. Just make sure you and your company stick to what you advertised and what your consumers are hoping for in a solution. Its matter of clear sense and utilizing it to make it better not change it halfway. The team who would be in charge of looking over the status of the network has to consist of qualified members. You should pick those who are more skeptical and will ask a question for the slightest flaw. Hire the consultants with a sense of the goal and the desired output from your team. Also, make sure the team is moving you forward and not holding you right where you started. You need the right amount of effort to fix all the issue. Being lazy or being afraid won’t do much good here. Fast and working results are everything that the consumers desire. If you get reports on any type of flaws in the network, assign a developing them right to it without wasting any time. They will figure out the problem and solve the issue. Sometimes this type of fats outcomes and responses makes any project more lucrative to a consumer. Advertising is one of the main critical points for any project to be successful. 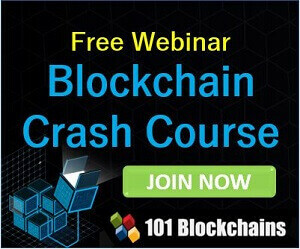 Maybe you had a better blockchain implementation but didn’t invest much in the marketing policy. Your blockchain implementation won’t get the crowd it deserves or may take a long time to reach the wanted response. Your marketing should be always up and running finding new ways to advertise your product. This way you can get a good response within a short time. Now that you have a working blockchain implementation protocol you can now plan for the future ahead. See which features need more upgrading or if you can add more features to the prototype. Once it’s all working on the prototype will be a permanent product. You can try to improve the quality or reduce cost, add lucrative features. To help you out further we estimated the cost of implementation in this blockchain implementation guide. Answering this question is rather complicated. It entirely depends on the company, the features, the quality and obviously the geographical location. If you think it in a way, it can be totally free of cost with so many already open source platforms. If you require data storage, you can just fork from an already existing platform. Cost of blockchain implementation won’t be that much in this case. It’s easy to do and especially with a team of developers. But what happens if you want to launch a different kind of blockchain network? We will get to that shortly. Even though you forked from another platform, you will need to add some additional features into the equation, and that will cost you money. 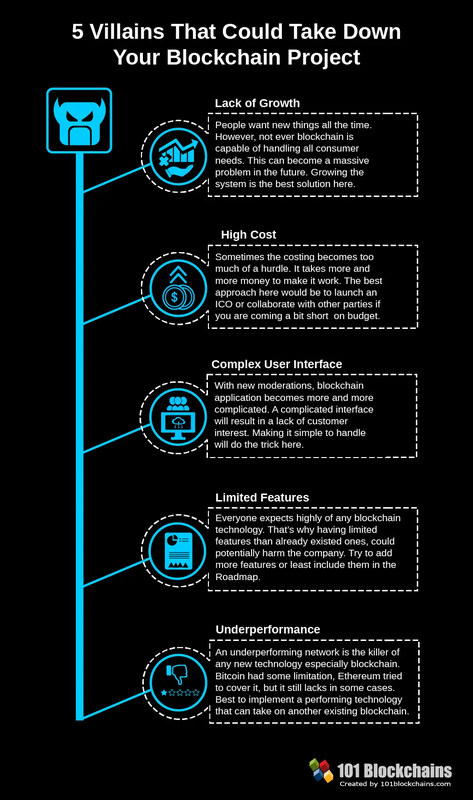 The cost of blockchain implementation ranges from element to feature. Let’s take Smart Contracts for an example. Smart contracts are now one of the most critical aspects of blockchain implementation. A network without intelligent contract feature is considered old school and kind of obsolete. That’s why if you don’t have a proper team you can consult with Smart Contract developing agencies who can help you to build a quality contract feature for your consumers. The cost of blockchain implementation for that can range from $3000 to $10,000 in this case. But as the codes can’t be rolled back and can be deployed once, every penny spent on the quality will be worth it. You will focus on a well-written code and hack-proof environment for that. Not every company needs to launch ICO in order to get funding for the project. Enterprise level companies don’t need any new token launches; they may use already existing tokens in the network if they need them. White-Papers: Approximately $1000 in total. Website Changes: You already have a website, so all you need to do is add some changes to that. It can cost you $500-$2,000 based on your requirements. Smart Contracts: You need smart contracts, it can cost you $3,000 and go up to $30,000. Legal Payments: Legalizing the new launch may require $50,000-$150,000. Decentralized Application Development Environment: It’s more suited for Developer audiences, and it can cost you $1000. Marketing Campaigns: Marketing the new change can cost you $1000-$10,000. But it varies with the company capability and strategy. Anti-Money Laundering Protocols: The Pricing Varies. Added Level of Security: It can go up to $10,000. So, you see it would take you more than $2M to launch an enterprise level blockchain. However, the final numbers may vary based on your requirements as this is only an estimation. Now let’s talk about the cost of blockchain implementation of new startup development. Not only you would need to develop the Blockchain Network, but you will also require additional fees for the initial launch. White-Papers: This could take approximately $1000 in total. Website: A proper site for your Blockchain implementation will cost you $500-$35,000 based on your requirements. Smart Contracts: can start from $3,000 and go up to $30,000. Legal Payments: Would require $50,000-$150,000. Decentralized Application Development Environment: Developers love this feature, and it can cost you $1000. Marketing Campaigns: Advertising your blockchain implementation can cost you $1000-$20,000. But it varies with the company capability and strategy. So, you can see launching a new project can require a lot of money. You should also take note about the fees of your developers. It can overall vary from $50,000 to $ 350,000; however, it can also go to a million. 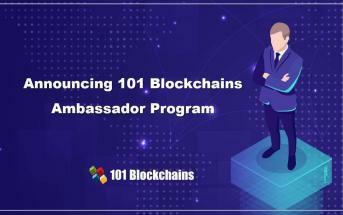 However, based on the quality, you can raise from $10M to $300M from the investment, which will be enough to utilize the blockchain implementation guide. So, in the end, it’s all worth it. An underperforming network is the killer of any new technology especially blockchain. Bitcoin had some limitation, Ethereum tried to cover it, but it still lacks in some cases. If your blockchain implementation has a fair amount of performance issue, then it might be somewhat challenging to get customers to use it. Maybe you give them the same feature with the same quality but at a higher price. It would not be successful. You should always market research before making a decision and adding features. Best to implement a performing technology that can take on another existing blockchain business. With new moderations, blockchain application becomes more and more complicated. A complicated interface will result in a lack of customer interest. Why? It’s simply because not all the users would be tech savvy. There might be people who are relatively new to the blockchain technology, and a complex interface would only scare them away. Try to attract more people to your project, not the other way around. Also, don’t imply any complicated rules that ordinary people have a fair amount of time understanding it. Making it all simple to handle would do the trick here. Sometimes the costing becomes too much of a hurdle. It takes more and more money to make it work. As we told you earlier that it can cost up to a million to launch a new project. But if you are just a startup and don’t have enough money to complete it, you can always collaborate with other companies. Don’t let the high cost scare you. It might be high, but it will be worth it. The best approach here will be to collaborate with other parties if you are coming a bit short on the budget. People want new things all the time. However, not every blockchain business is capable of handling all consumer needs. This can become a massive problem in the future. The tech that can become obsolete right after a few months is not something users would look for in a solution. They always want steady growth and introduction to new things. That’s why to plan your future solution right after the launch. Growing the system is the best solution here. Everyone expects highly of any blockchain technology. That’s why having limited features that already existed ones, could potentially harm the company. Try to add more features or at least include them in the Roadmap. We are hoping that this blockchain implementation guide was useful to you. Blockchain implementation at a global scale can merely change the way our lives work now. With everything being on the decentralized platform, it’s a hassle-free life for us. Different blockchain use cases or blockchain applications can reshape the fate of humanity. It’s time we moved on to a blockchain era. So, why not take a step toward the future of humankind?